Looking for new ways to extend the shelf life of the perishables in your kitchen? Freezing is an obvious solution. You may have frozen brewed coffee or stock at some point in your life, but rest assured that you have barely scratched the surface. 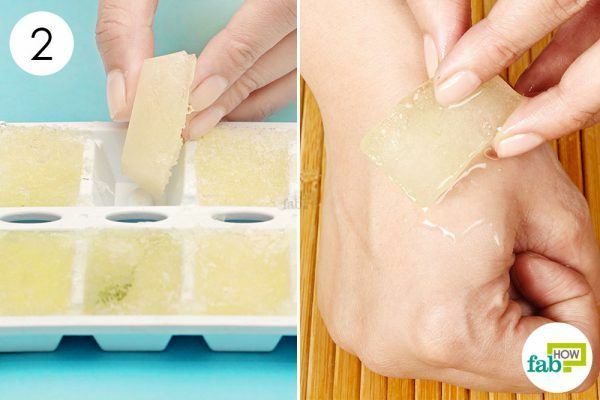 Ice cube tray hacks can be quite versatile and fun. 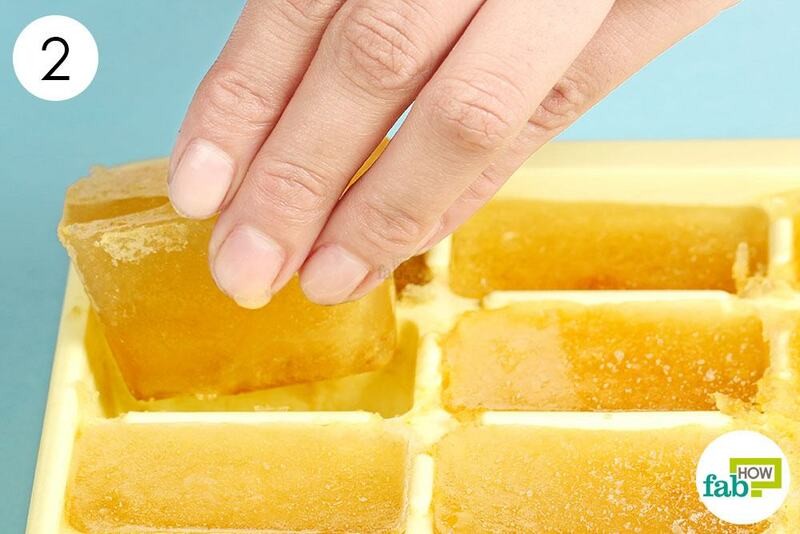 Using ice cube trays to freeze things – other than water – is an incredible hack that has almost limitless applications. The best thing is that ice cube trays provide convenient, even portioning every time. With a simple silicon ice tray, you can create numerous ways to jazz up your health and beauty routines or simply give your drinks – boozy or non-boozy –an unparalleled party fervor. 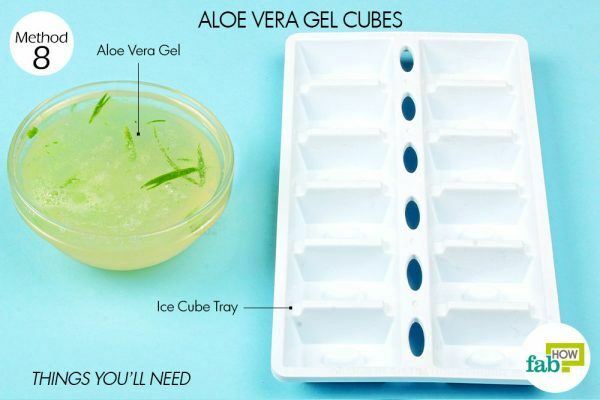 Begin with basic ice cube tray hacks. Then, let your imagination run wild with the possibilities. 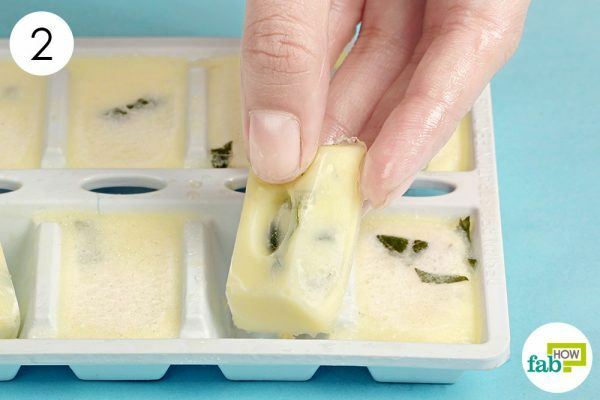 For starters, here are 10 ice cube tray hacks that'll make you look like a genius. When you have a garden chock-full of herbs like basil, dill, rosemary or cilantro, preserving them is the best way to enjoy their unique flavor year-round. While herbs like sage, oregano and thyme can be air-dried and stored, others keep best when frozen. Freezing preserves the essential oils of the herbs, thus keeping their flavor intact. Breaking from conventional practice, try freezing your herbs in oil. 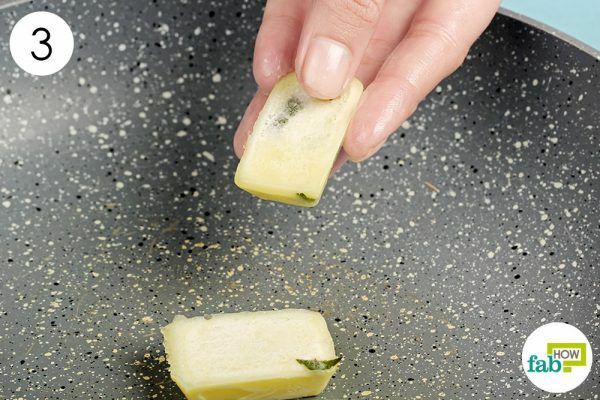 This will protect your delicate herbs from freezer burn and browning. The oil will also acquire an herb-infused flavor that’ll be a delight to cook with. For best results, use this method for fresh and firm herbs. 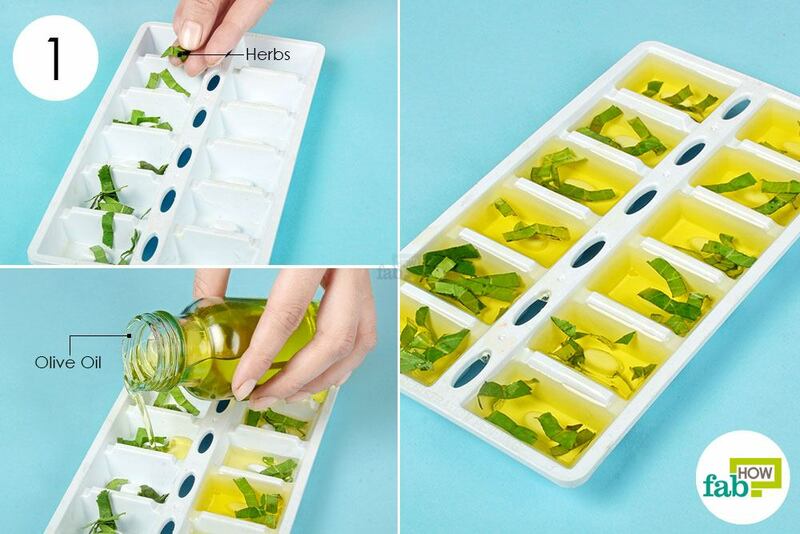 Put chopped herbs of your choice into the blocks of an ice cube tray. We used basil, but you can go with the herb of your choice. 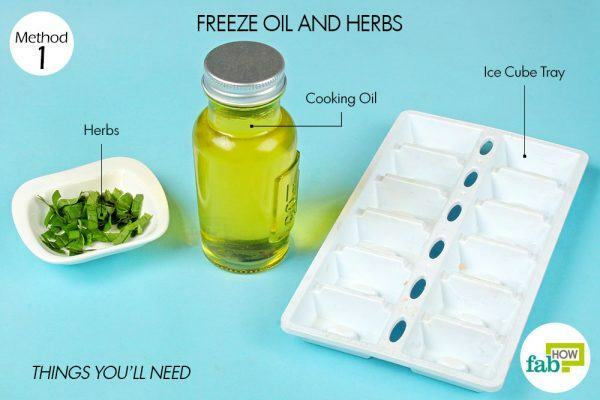 If you have specific recipes in mind, you can even freeze a blend of herbs. The ice blocks should be filled at least halfway or up to two-thirds with chopped herbs. Fill up the rest of the space with the cooking oil of your choice. We used olive oil. 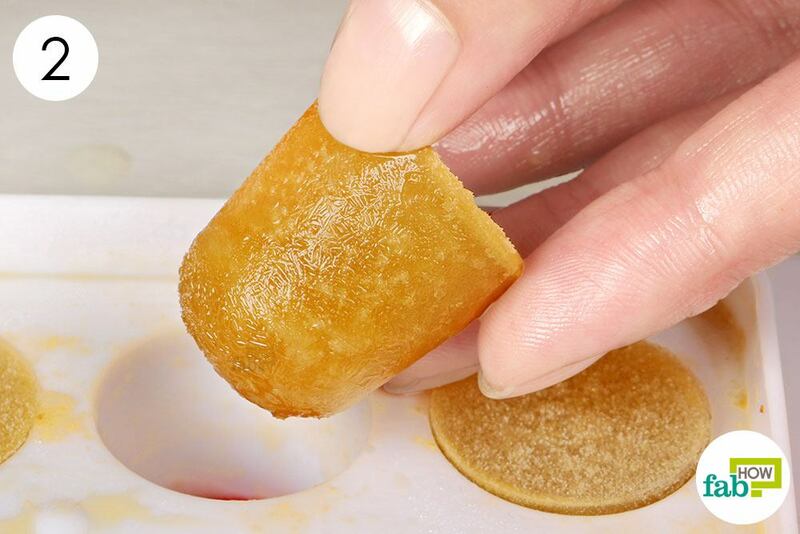 Pop the tray into the freezer for 8 to 10 hours to allow the oil to freeze completely. Extract the frozen herb-oil cubes and put them in another container or baggies for longer storage. While frozen virgin olive oil has indefinite shelf life, these herb-oil cubes keep well for up to 1 year. You can, of course, use them immediately for cooking. You can use them in cooking hot meals like stews, roasts, soups and potato dishes or adding flavor to pesto. A steaming cup of green tea is not the only road to an antioxidant-fueled body. 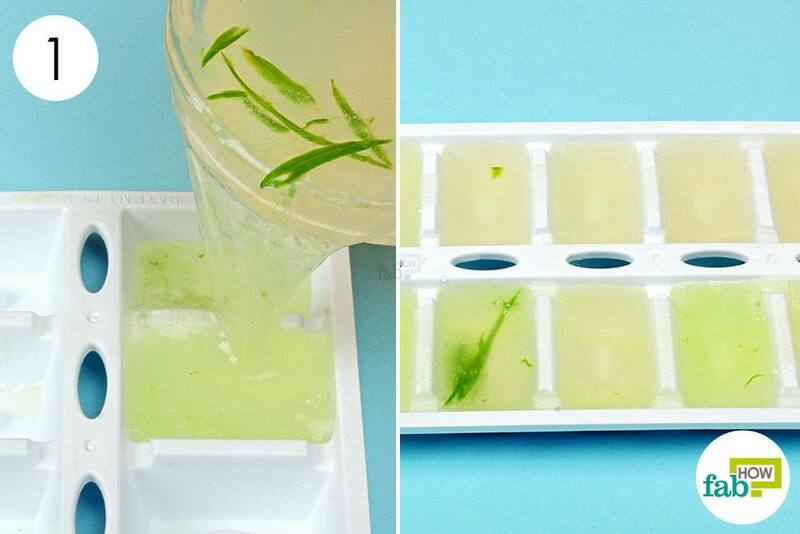 Frozen green tea cubes are the best way to make iced green tea. Rather than extending its shelf life, frozen tea has more value as you can put it in numerous chilled beverages. 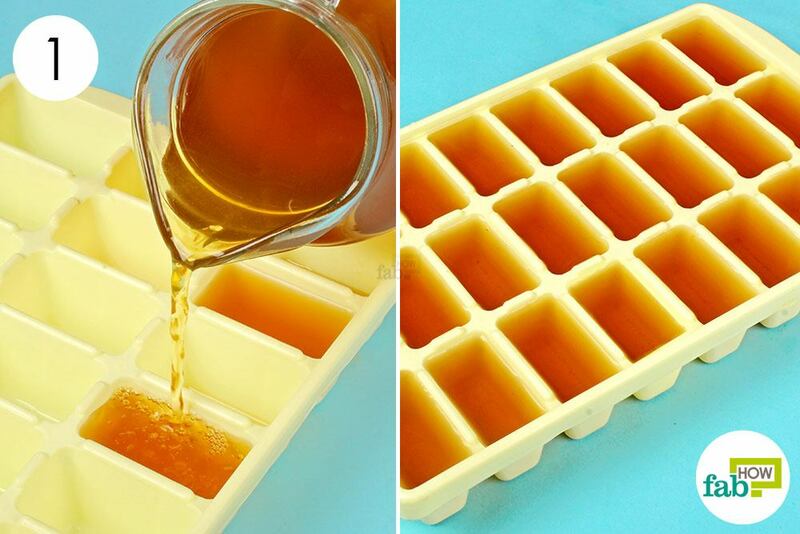 Frozen tea cubes will surely generate some fun drink ideas that are both healthy and refreshing. 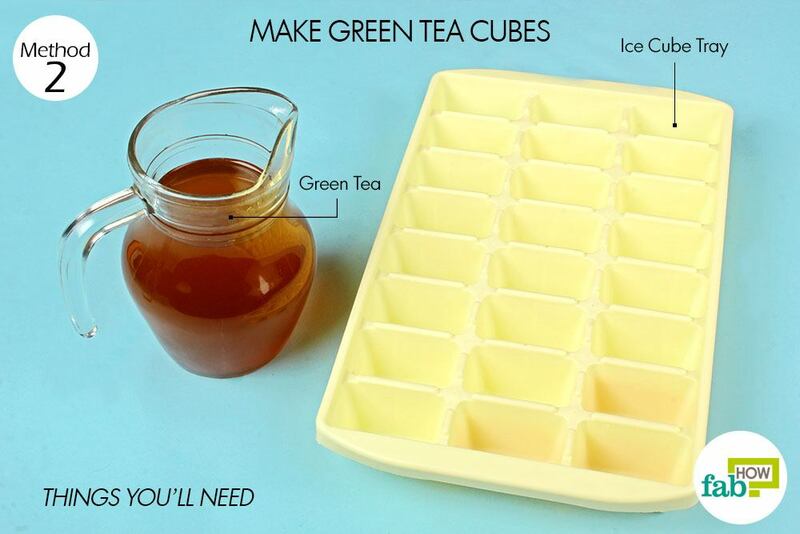 Make green tea as usual and let it cool. Pour the cooled tea into the ice cube tray. Pop the tray into the freezer and give it a few hours. It should take less time than it takes to freeze water into ice cubes. 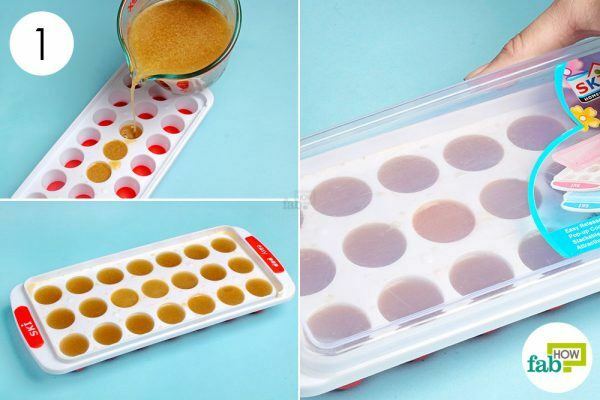 Extract the frozen tea cubes from the tray and use them in delicious chilled drinks. These frozen green tea cubes have a shelf life of up to 6 months. 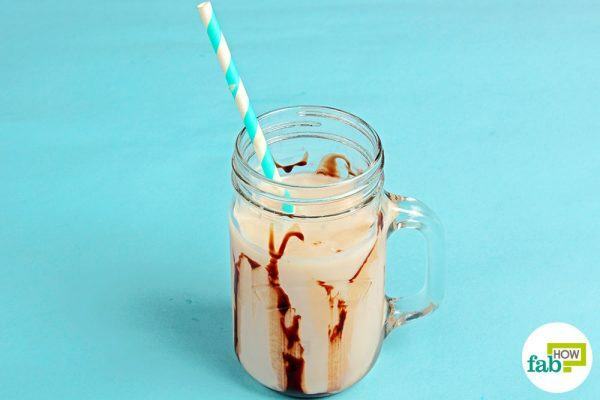 There are many ways to make cold coffee. 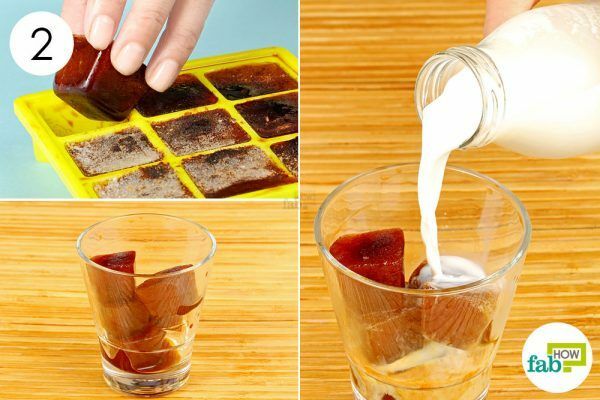 But if normal ice cubes are watering down your iced coffee too much, frozen coffee cubes are just the trick you need. Black, creamed or latte – you name it. 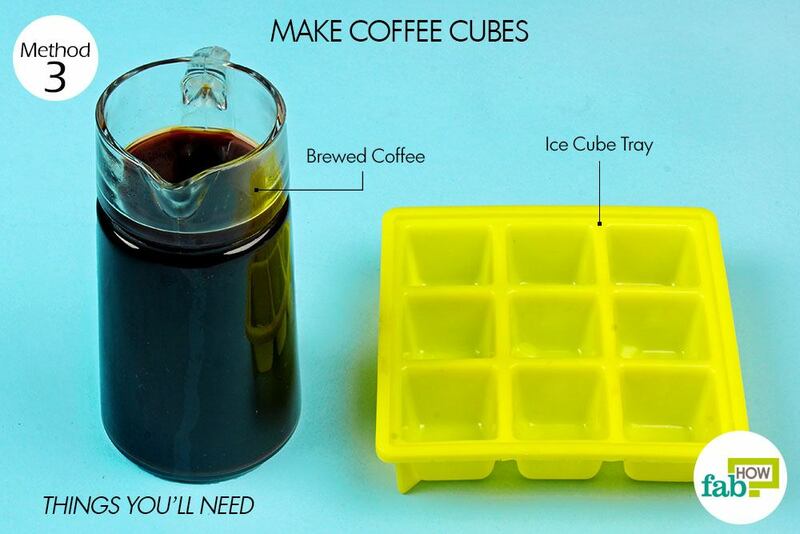 Frozen coffee cubes can give you a better take on the regular cold coffee. The number of frozen coffee cubes you’ll need to make a glass of chilled java will depend upon the strength of the frozen brew and how strong you like your coffee. Brew the coffee as usual and let it cool. Pour the cooled coffee into an ice cube tray. Pop the tray into the freezer and wait until the cubes freeze completely. Freezing time will vary with different freezers. Pop the frozen coffee cubes out of the tray. Store them in zippered baggies for future use, or use them right away to make a beverage of your choice. These frozen coffee cubes keep well for about 3 or 4 months in the freezer. 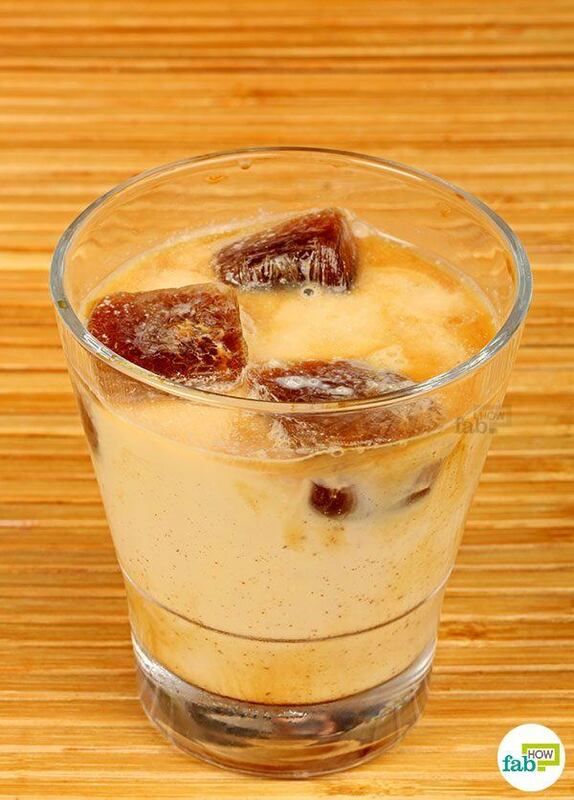 For a simple coffee beverage, put 3 or 4 coffee cubes in a glass and pour sweetened milk over it. If you’ve got a little one at home and are keen to bring him or her up on homemade baby food, you can make a sizeable batch and freeze the baby food to save time. Choose the fruits and vegetables that you’ll want on hand and cook them, either by steaming or roasting. Both of these cooking methods are ideal, as they preserve the maximum amount of nutrients in the food. Puree the cooked food and it’s ready for freezing. If you need to thin out the puree, you can add some of the liquid in which you cooked the vegetables. Fresh breast milk or baby formula can also be used for this purpose. It will add additional nutrients as well as a familiar taste to the baby food. Fill the ice cube blocks with pureed baby food. We filled half of our tray with pureed carrots and the other half with mashed sweet potatoes. 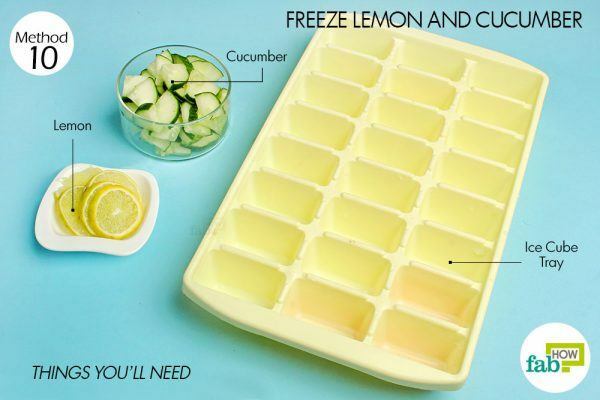 Place the tray in the freezer and allow at least 24 hours for the cubes to freeze completely. 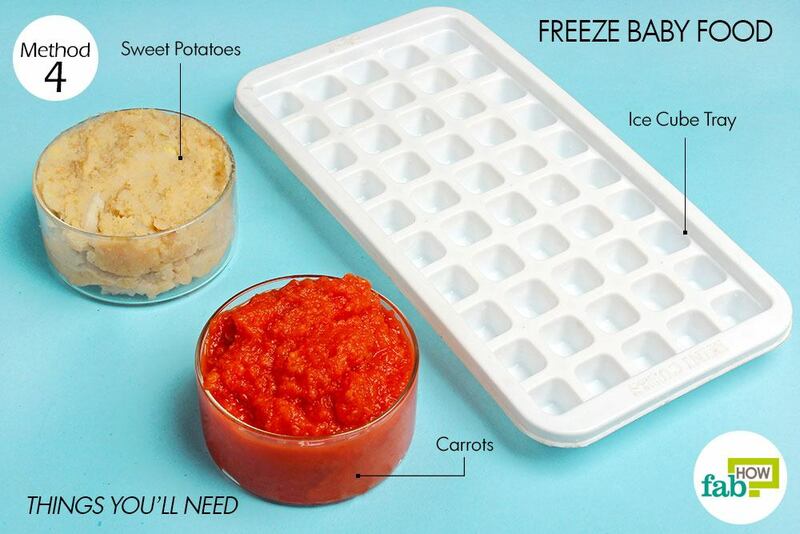 Extract the frozen cubes of baby food from the tray. Store them in zippered baggies for up to 1 month. Store them at the very back of the freezer to retain the foods’ quality and texture. A couple of hours before feeding time, take out the required quantity of frozen baby food. Let the cubes thaw in the refrigerator and reheat them before feeding your baby. After thawing, frozen fruit or mashed potato cubes can also be added to oatmeal or pancake batter. Wine freezes well, but being essentially grape juice, it doesn’t freeze as hard as water. 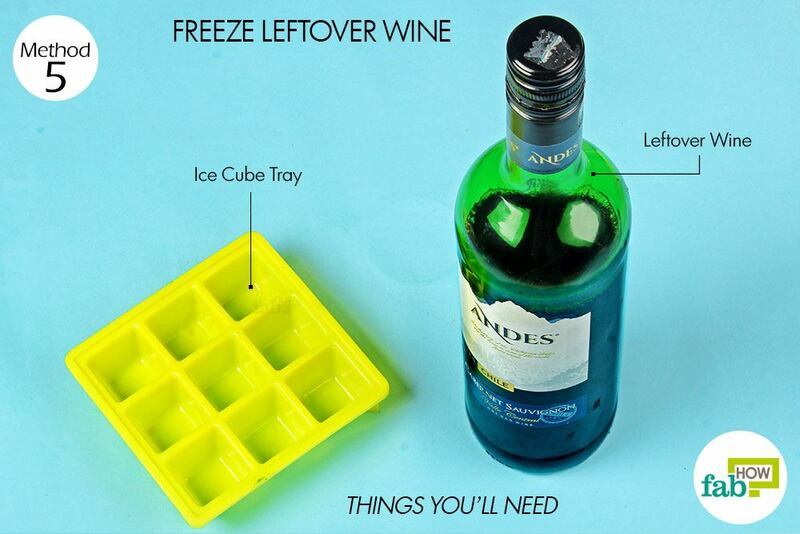 Frozen wine can be used for almost anything, except thawing and drinking. So if you have an open bottle of wine that you won’t be able to finish in time, you can freeze the leftover to use later if you or your friend is a cooking aficionado. Pour the leftover wine evenly into the ice tray blocks. You can also determine your ice cube tray equivalent of ½ or 1 cup, so that you can use the wine cubes with ease in any recipe. You can do this by measuring the wine before pouring it into the tray and counting how many blocks that quantity fills. Put the tray in the freezer for a few hours. The freezing time will depend on your freezer as well as the quantity you’re freezing. 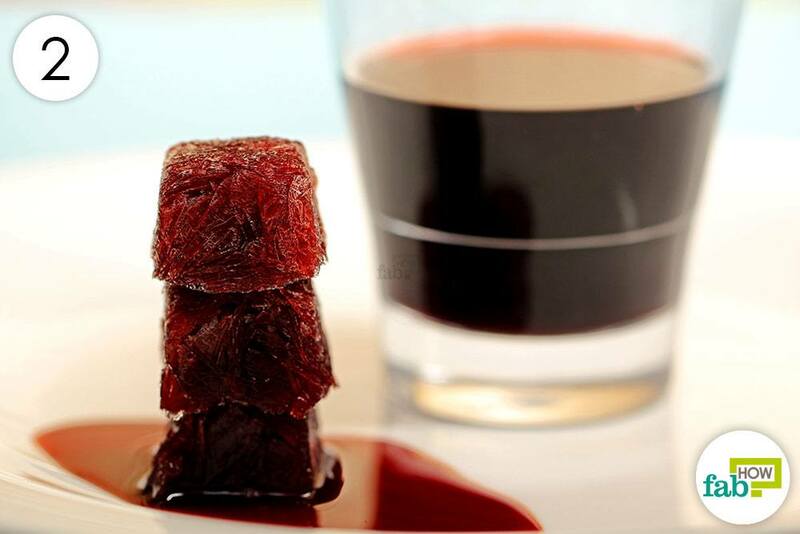 Thaw the desired number of wine cubes in the refrigerator before using them in cooking. Frozen wine can be stored for up to 6 months and used for making any pasta sauce, beef stew or marinara. You can also add a couple of wine cubes to the pot while poaching fruits or steaming mussels and clams. Freezing green vegetables is a good way to extend their shelf life, especially if your veggies come from your own lush garden. 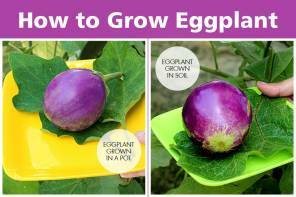 This way you won’t have to give your garden produce away because you have more than you can use before it would spoil. 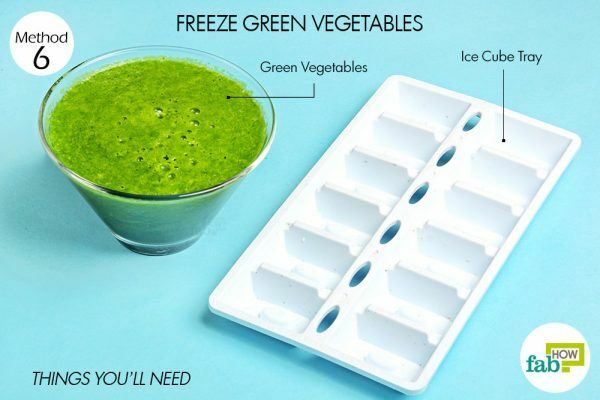 Freezing also saves on the preparation time when you decide to use greens in smoothies or other recipes. Kale, spinach and other sturdy greens are best for freezing. Prepare the greens for freezing before they turn. Clean, wash and cook the green vegetables that you need to freeze. Puree them in a blender or food processor to make them freeze-ready. 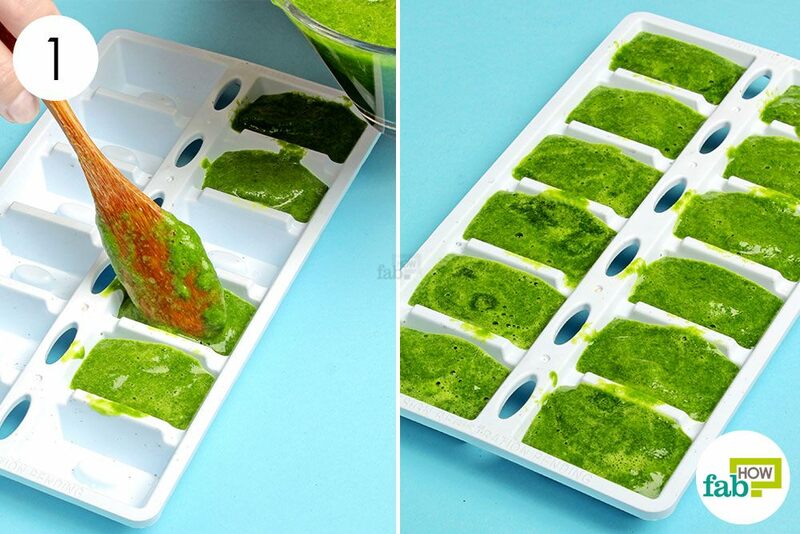 Spoon cooked and pureed green vegetables into the blocks of the ice tray. Pop the tray into the back of the freezer for about 24 hours. 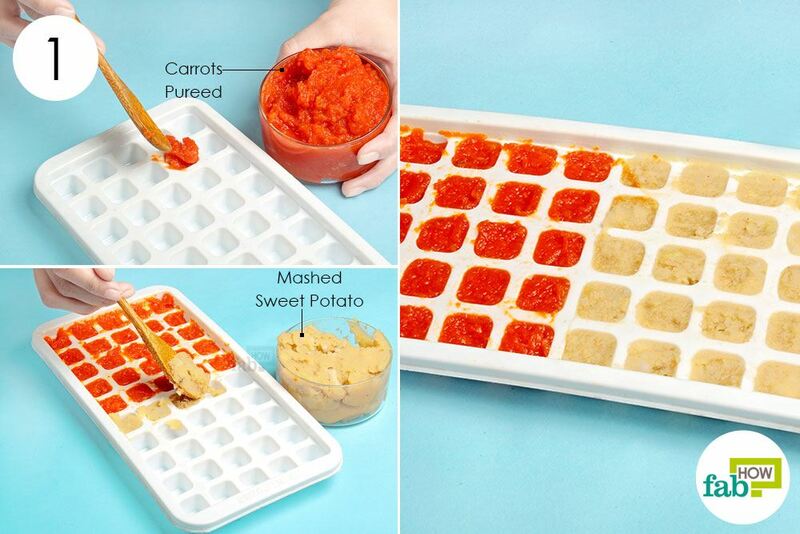 Pop the veggie cubes out of the ice tray. You can either use them right away in a recipe of your choice, or store them in a large freezer bag at the back of the freezer to use later. These frozen veggie cubes will last for 2 or 3 weeks. Frozen green vegetables are ideal for whipping into soups, making dips and making healthy sandwich spreads when added to yogurt or mayo. If homemade stock is your secret to delicious gravies and soups, you may have grappled with its storage from time to time. 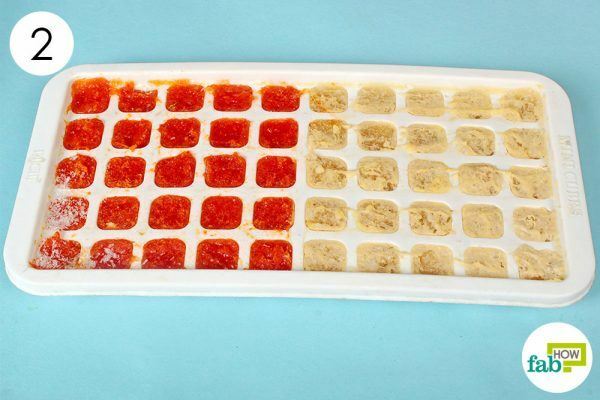 Freezing leftover stock is an easy way to increase its shelf life, and doing this in ice trays is a genius hack for easy portioning of the stock. Make vegetable or chicken stock as you normally would and let it cool before freezing it. For chicken or mutton stock, chill the stock first to separate and remove the fat before freezing it in the ice tray. Pour the leftover stock into an ice cube tray and put on the lid. Freeze it for about 24 hours. 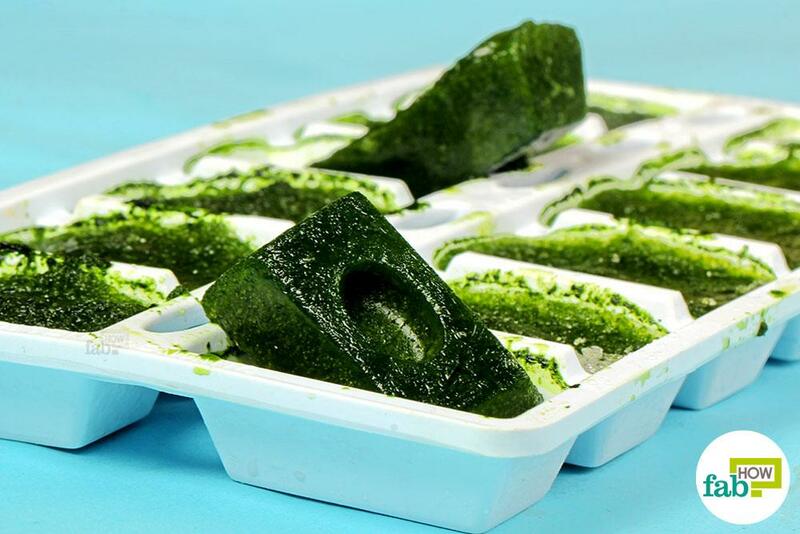 Pop out the frozen stock cubes, pack them in a large freezer bag and store it deep in the freezer for up to 6 months. 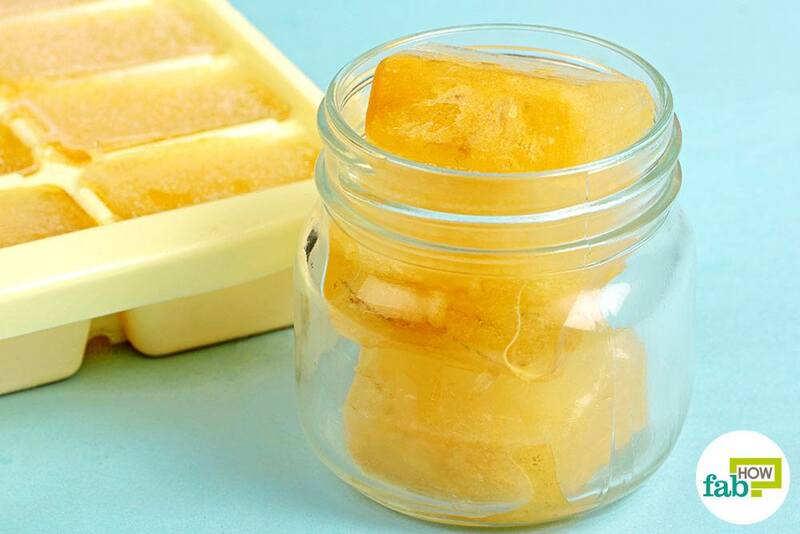 These stock cubes can be thawed in the refrigerator before using for making soups, gravies and sauces. Aloe vera, one of the most versatile champions of health and beauty, can also be frozen. 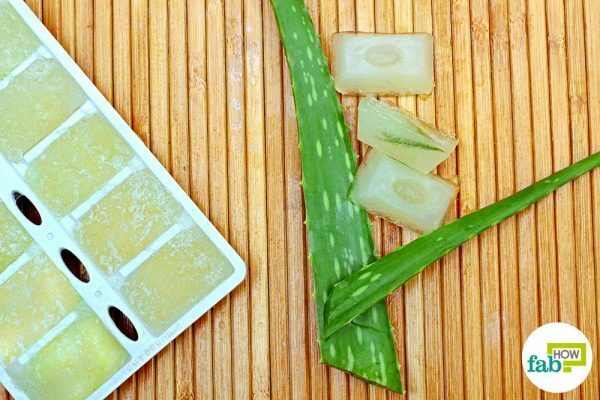 If you love this natural elixir, you won’t need any tutorials to find a bunch of health and beauty applications of frozen aloe vera. But we’ll toss a couple ideas around just to get you started. Aloe vera leaves have a long shelf life to boot. But if you need to extend the shelf life of aloe vera gel longer than just a month, freezing is a suitable option. Fresh aloe vera gel without any additives, extracted straight from the leaves, is the ideal choice for freezing. 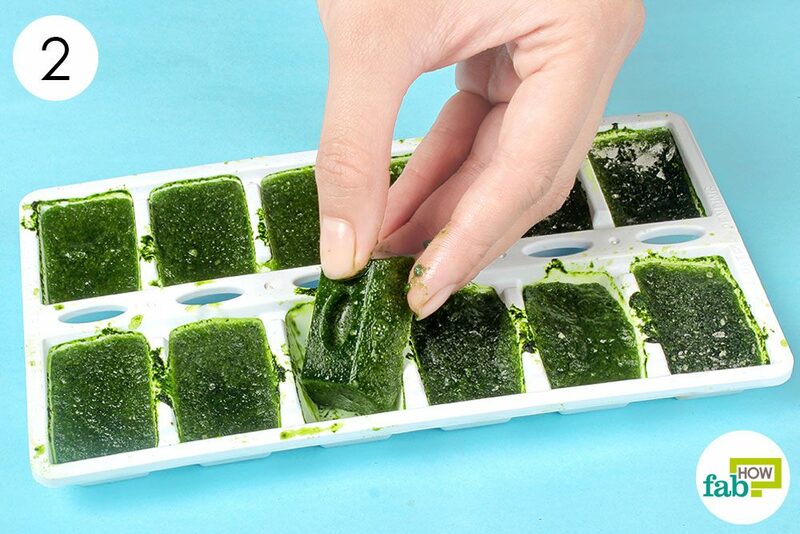 Pour the freshly extracted aloe vera gel evenly into the blocks of the ice tray. Place the tray in the freezer overnight. The freezing time will not only depend on your freezer but also on the texture and consistency of the gel. Pop out the frozen aloe vera cubes for immediate use, or put them in freezer bags for longer storage. Frozen aloe vera gel keeps well for 2 or 3 months. 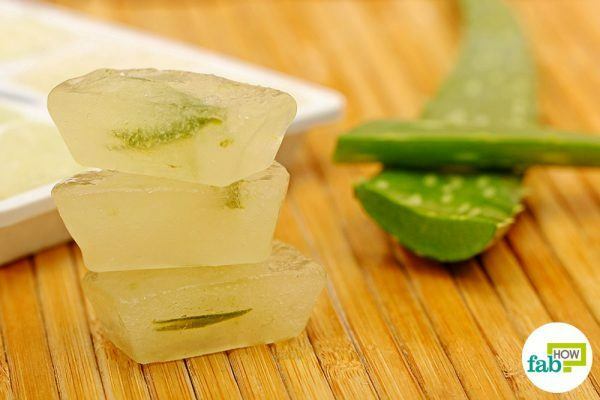 Frozen aloe vera cubes sound like a good remedy for heat rashes and such, or they can be used to amp up your spa water. You can also add them to fun health drinks and smoothies. Freezing almond milk, especially homemade almond milk is not just for extending its shelf life. Besides using the thawed almond milk in cooking recipes, the frozen cubes can be used to make a variety of chilled beverages. Flavoring your milk before freezing is advised, if you intend to use it as an ingredient. Other vegan milks like coconut milk and soy milk as well as dairy milk or buttermilk can also be frozen with similar results. 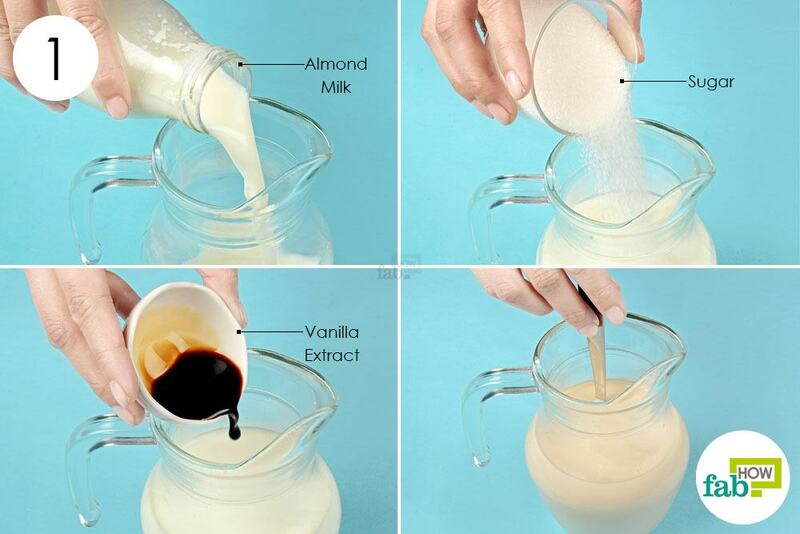 Pour 1 cup of almond milk into a jug. Add 1 to 2 teaspoons of pure vanilla extract. Add in 2 to 3 tablespoons of sugar as well. 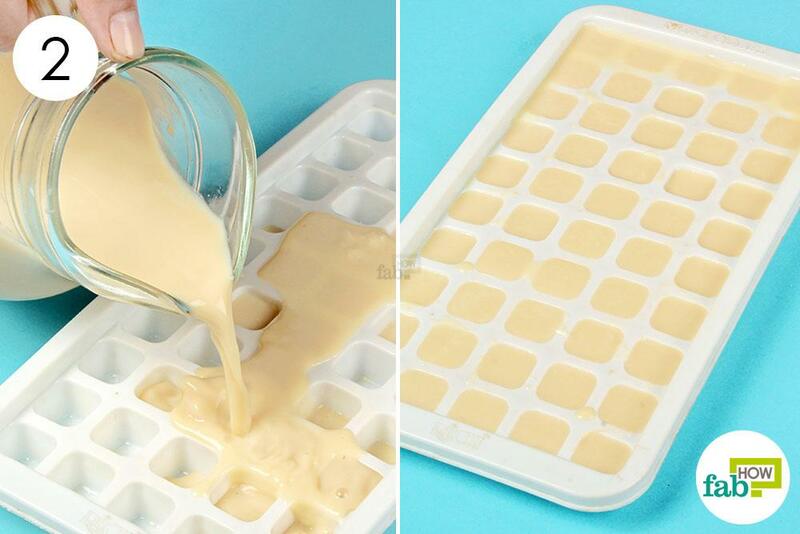 Pour the flavored milk into the ice tray. Put the tray into the freezer overnight. 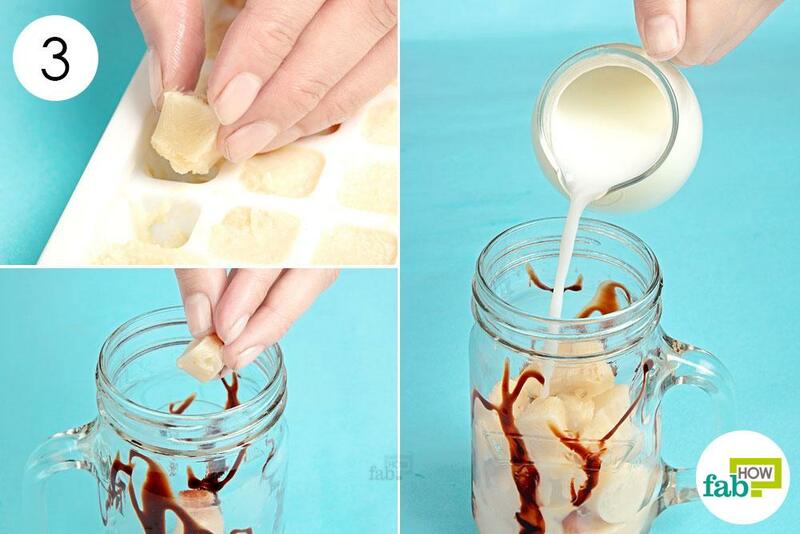 Extract the frozen almond milk cubes. Use the frozen milk cubes within the month for best results. 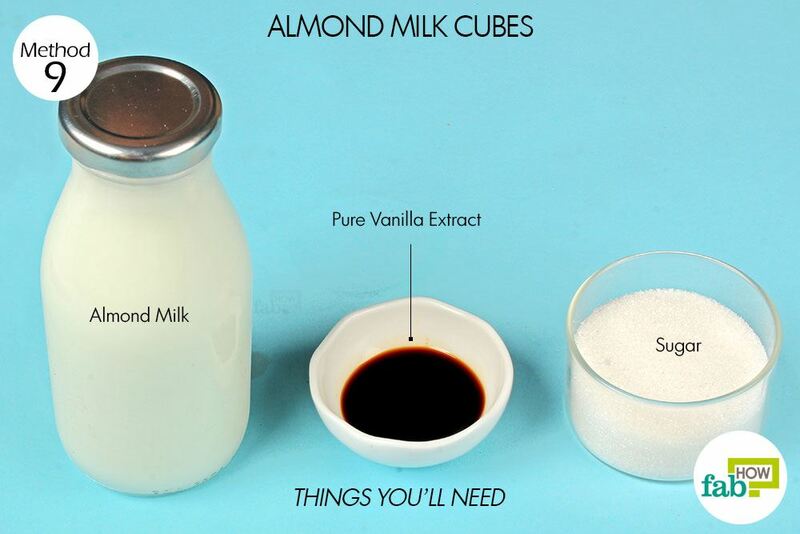 Put a few of them in a glass and pour chilled almond milk over the top. 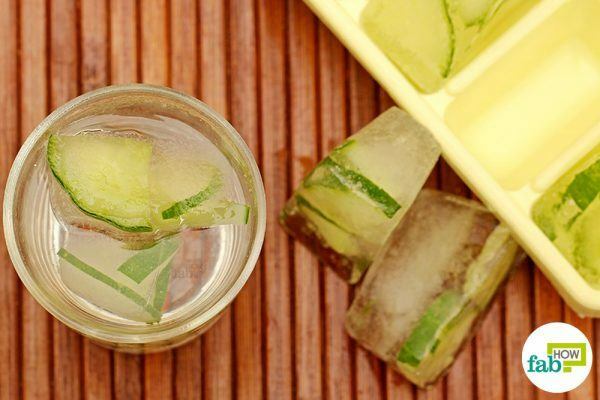 An ingenious way to make infused water to meet your detoxing goals is using frozen fruit or veggie cubes. Slightly different than freezing cooked produce, raw fruits and veggies can be frozen in water while they’re still fresh. 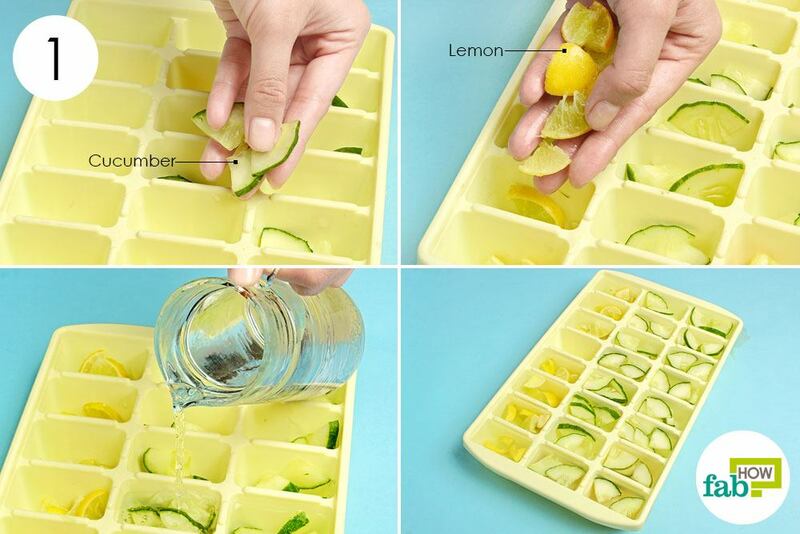 Cut the fruit or veggie so it will fit into the blocks of your ice tray. 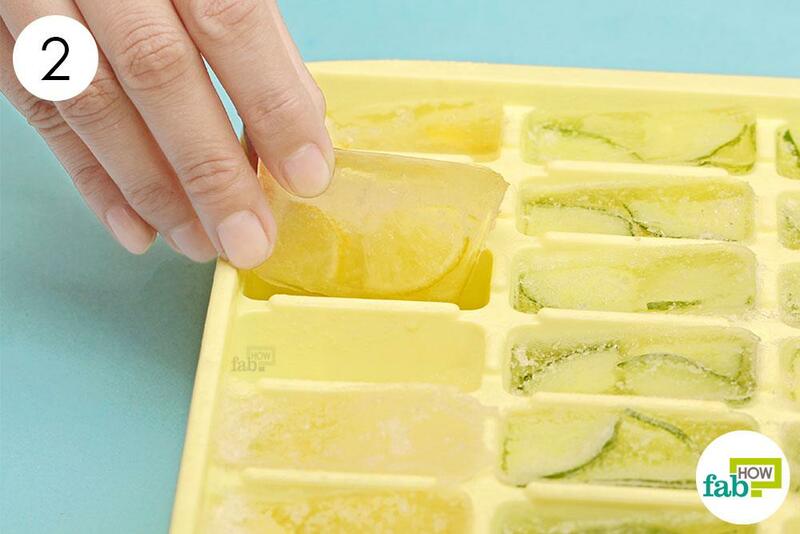 If you have a large-cubed ice tray, you can cram in entire slices. These fruit and veggie cubes can be used to top chilled beverages or flavor plain water. There is a slow release of extracts into the water as the ice melts, making it more beneficial for the health. These cubes can also be added to spa water. Get more creative and freeze the extra blooms in your garden to perfume your bathwater for a heavenly spa experience. Frozen blooms can also be added to drinks and desserts, provided that you freeze the kind that have culinary uses. Put a few cucumber pieces in half of the blocks of the ice tray. Put lemon slices and wedges in the rest of the blocks. Fill up the rest of the space in each block with water. Put the ice tray into the freezer overnight. Extract the lemon and cucumber ice cubes from the tray. Use them to make detoxing infused water. These fruit and veggie cubes can easily last the entire summer. You can store them in zippered baggies for easy storage. If filling the ice tray with water-based liquids, leave a little space at the top to allow the liquids to expand. After freezing various foods for about 24 hours, remove their frozen cubes from the tray. 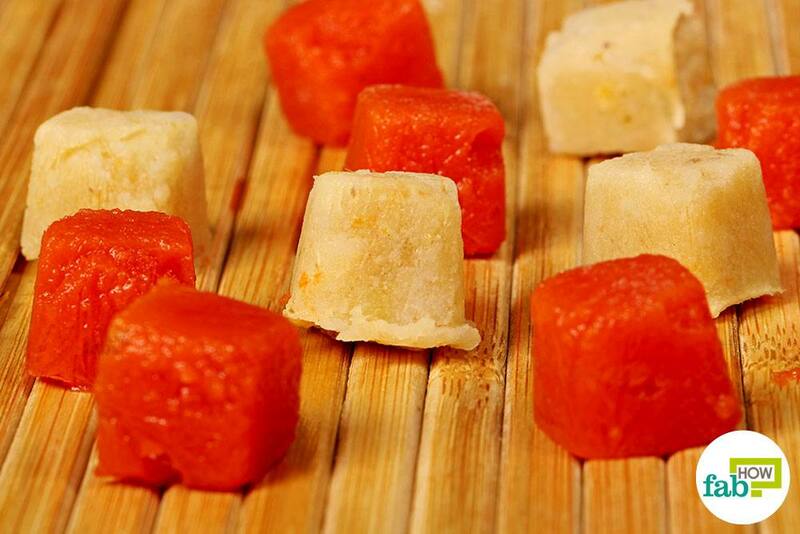 Stuff these frozen food cubes into freezer baggies and pop them back into the back of the freezer. To preserve the taste, always thaw the frozen foods and liquids in the refrigerator. Depending on the intended use, herbs can be frozen in different mediums. Freeze herbs in water to prepare soups and stews. Use oil and butter as a freezing medium for frying and cooking. Sweeten and flavor beverages like tea or coffee before freezing if desired, as you’ll not be able to sweeten them later. If you intend to use them in recipes, you can add the flavoring later. 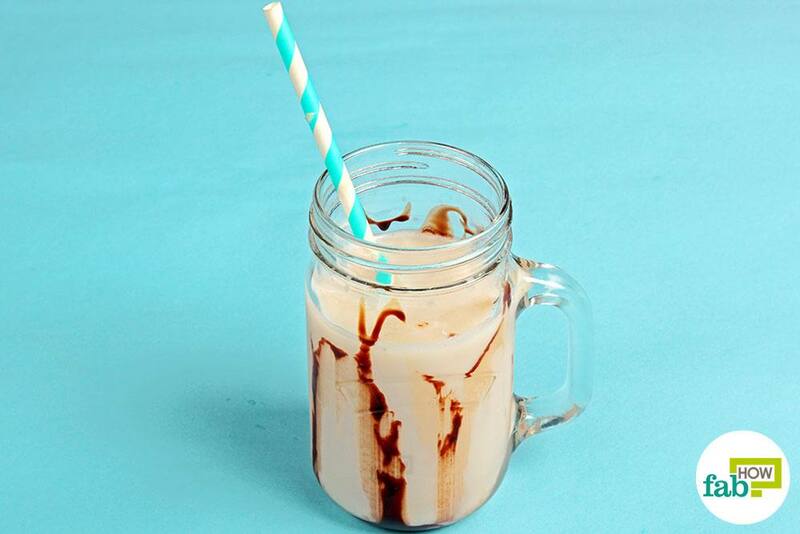 Like tea and coffee, you can also freeze hot chocolate. 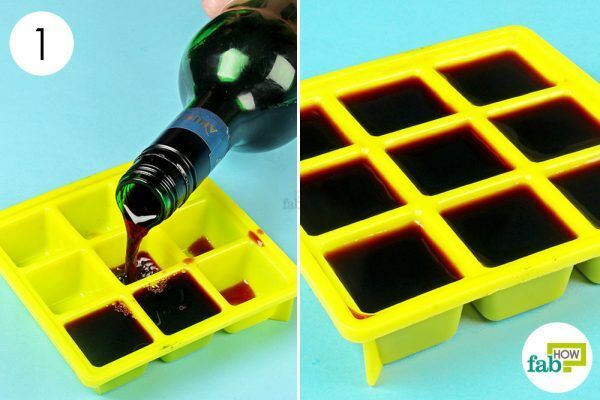 Freeze Jell-O shots or any other booze just like wine to chill your boozy drinks or cocktails. Berries and other fruits can also be frozen, just like lemon and cucumber. These frozen fruit and berry cubes will make a nice addition to smoothies and chilled shakes. Freeze citrus peels in vinegar to refresh garbage disposals. Freeze yogurt, custard or pesto just like you would veggies or baby food. 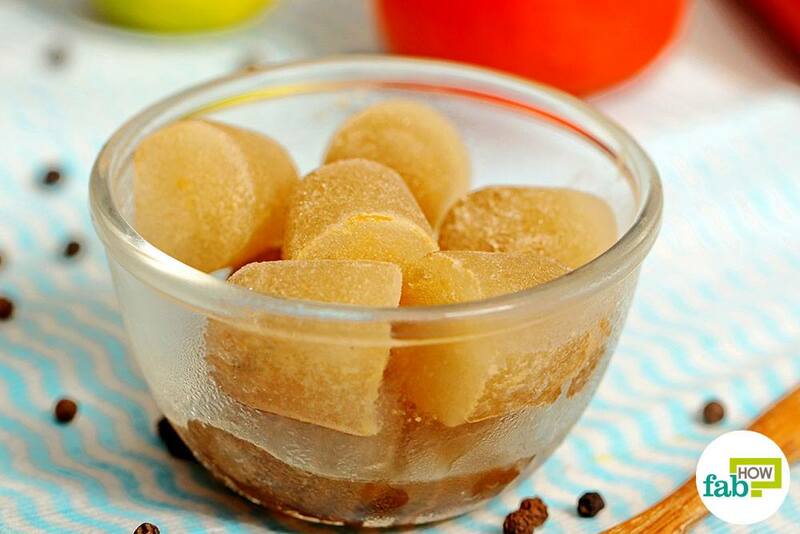 Freeze applesauce to use it in baking whenever needed. Make cube-sized ice cream by using ice cube trays instead of Popsicle molds. Ice cream cubes instead of scoops will be perfect for topping desserts, milk shakes and floats. 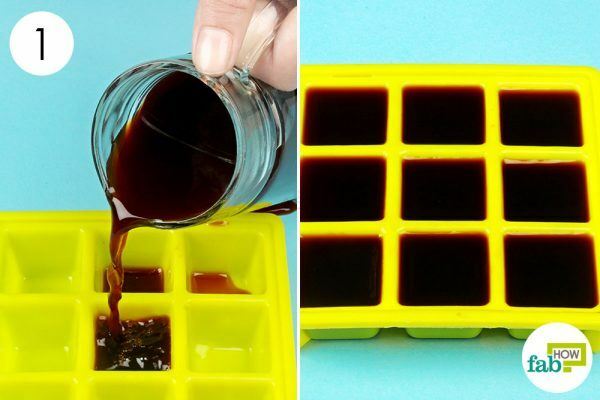 One non-freezing ice cube tray hacks is using it as a color palette for paints or other art project supplies. Ice cube trays can also be used make bite-sized granola. 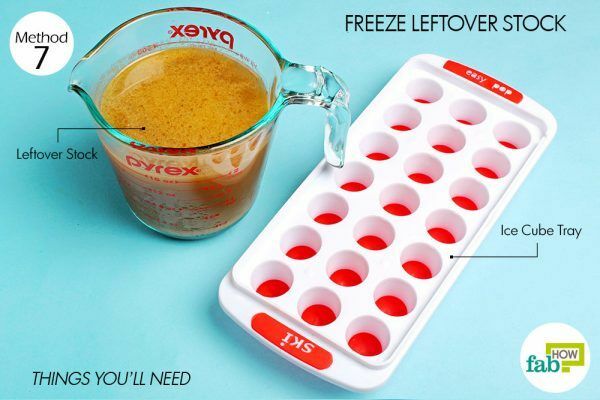 Ice trays that come with lids can also be used to store buttons, small earrings, rings and various other odds and ends that can get mixed up, especially during travelling. Can you freeze fish sauce using this method? Fish sauce is best stored unrefrigerated in a cool, dark place at room temperature. It should never be refrigerated or frozen as it can easily crystallize.